Truly Irish Country Foods was established in 2009 by a group of pig producers. Frustrated with the quality of meat being sold to Irish consumers we said enough was enough. The quality of pork being sold in Ireland did not accurately reflect what we as Irish pig farmers were capable of producing. A co-op was formed by the farmers with pigmeat producers nationwide. 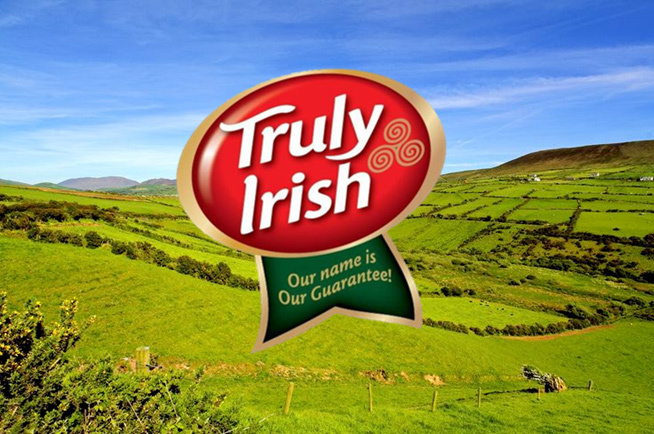 There is no mistaking our name or our label – Truly Irish Country Foods. It’s not just a name, it’s our guarantee. What makes Truly Irish different is we absolutely refuse to compromise quality for profit. You can be confident whenever you purchase a Truly Irish product it comes from your local producer and is fully traceable back to the farm. You are also helping to save over 8,000 Irish jobs. We developed a unique rasher that holds its shape when cooking and leaves minimal white residue in the pan, proving no excess water added. Our sausages have a massive 82% lean pork content and they are an excellent source of protein. They make a healthy, low-fat, low-sugar and nutritional meal. Keeping up with our great quality, we pride ourselves on producing good old fashioned black and white pudding with an old recipe handed down through generations. In 2015 we expanded our product range and launched our Irish Oat Granola and Creamery Butter. Our granola is a low-sugar and high fibre cereal that aids in reducing cholesterol. To date it has been received extremely well and we managed to scoop an Inkinspiration award – EMEA 2016 Award for Best Digitally Printed Flexible Packaging. Our butter has also being fortunate and won Gold at Blas na hÉireann 2015. In 2016 we further expanded the cereals and launched our gluten free Protein Porridge. The porridge is made using the highest quality Irish milk protein powder and 100% gluten free Irish oats.